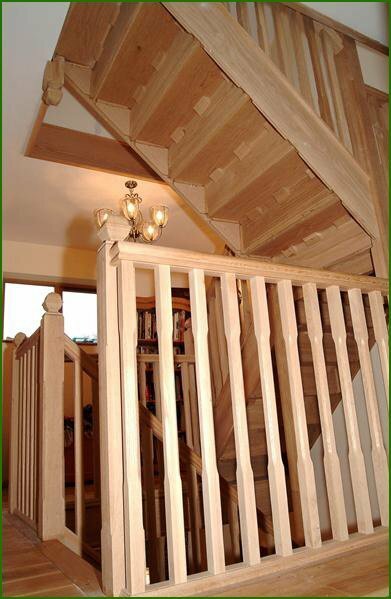 These two quarter landing staircases were designed to sit on top of one another. 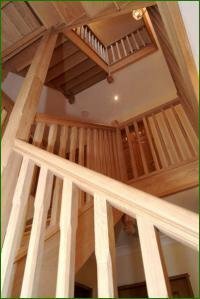 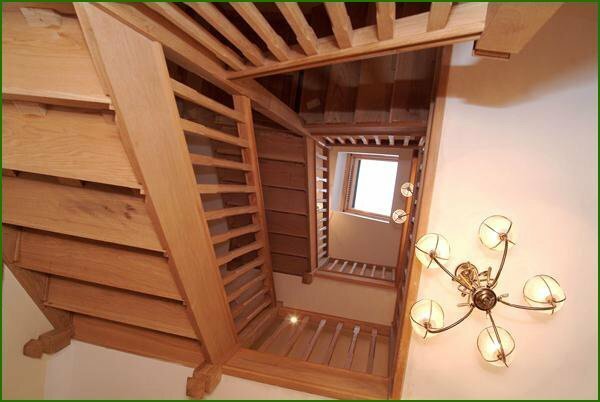 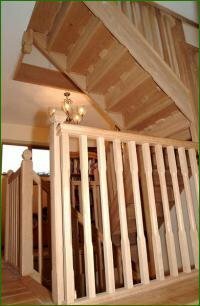 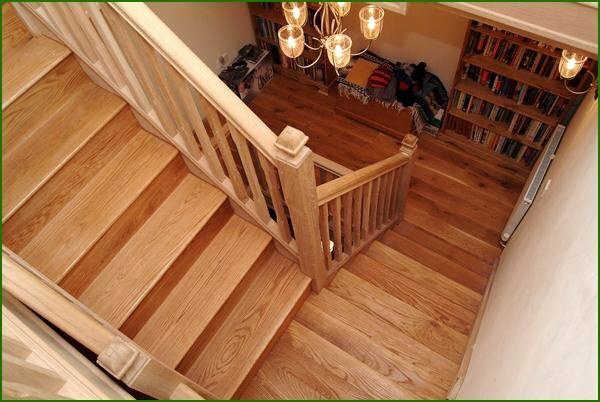 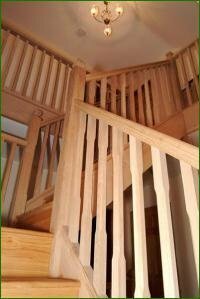 The centre newel runs from the ground floor up through to the second floor. 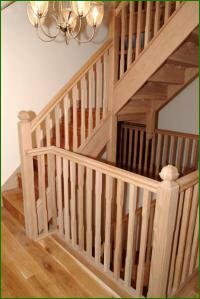 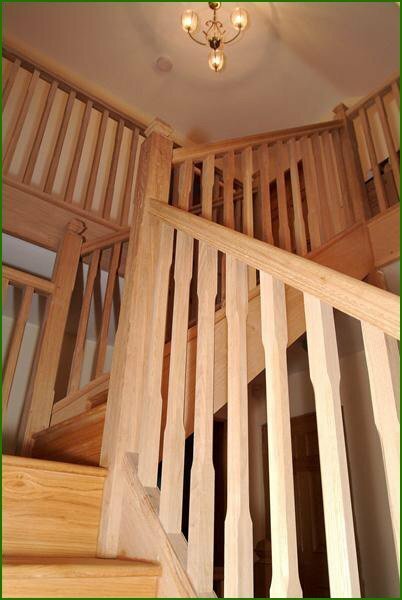 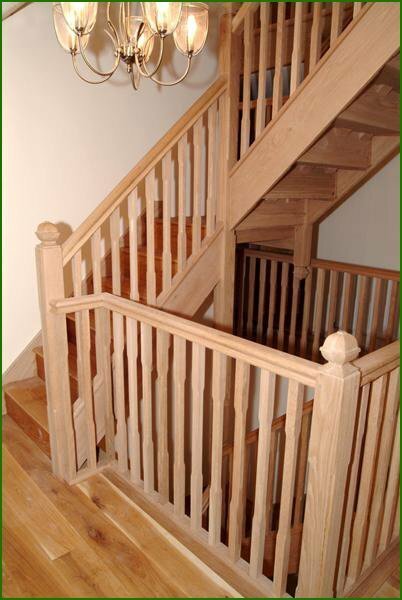 The newels and spindles are stop-chamfered.